Each case is different, but partnering with a Columbus traffic attorney can help you in some or all of the following ways. Opting for a court date instead of just paying a ticket allows you to access, review, and question all the evidence the prosecutor intends to present to the judge. Your Columbus traffic attorney will have the resources and expertise to analyze radar gun records, dash cam and surveillance camera videos, and police reports to find inconsistencies and errors. Another factor that can work in your favor as the defendant is that Ohio courts generally require police officers who issue tickets to appear at trial. 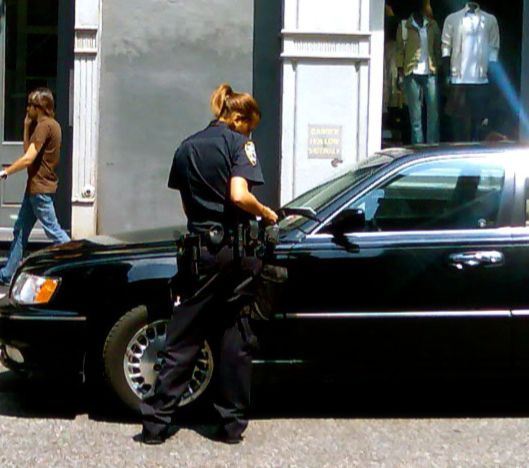 If the officer who ticketed you does not make it to court, a judge has the discretion to dismiss the charge, reschedule the trial, or accept a plea to a lesser offense. Though it is a possibility, you cannot base your entire case on hoping the officer who wrote the ticket misses court. Traffic offense convictions can put 2 points, 4 points, or 6 points on your driving record depending on the severity fo the offense. If the Ohio Bureau of Motor Vehicles tallies 12 points within a 24-month period, the bureau issues an automatic license suspension. A 12-point suspension lasts 180 days and will apply to both your own personal license and any commercial driver’s license you hold. You cannot legally drive any commercial vehicle while holding a suspended CDL, so the penalty can translate into losing your job. Then, reinstating an Ohio driver’s license following a 12-point suspension requires paying additional fees, securing a special and expensive form of proof of insurance, and retaking the entire licensing exam. Keeping additional points off you record after racking up one or two earlier traffic tickets is an excellent reason to hire a Columbus traffic defense attorney. Pleading down has been mentioned already. This can be a valuable alternative for a defendant, especially when the penalty for a conviction on the original charge would put you over 12 points. No plea deal offered by a prosecutor should be accepted automatically. Ohio’s traffic laws are complicated. Understanding the difference between the many possible charges requires experience. Consulting with a knowledgeable Columbus traffic attorney will prevent you from agreeing to accept guilt for a charge that only sounds like it will carry a less-harsh penalty. The traffic attorneys in Columbus Ohio, office of The Maher Law Firm offer free consultations and take cases throughout Franklin County. You can contact an experienced Columbus traffic attorney by calling (614) 205-2208 or completing this online contact form.